The ski season in Voevodyno is over from February 26, 2019. Voevodyno is an amazing place for those who want to combine SPA rest with skiing during the winter season (here it lasts from the end of December until March). Voevodyno is also a family skiing resort as at its territory there is a training slope and children’s ski-lift. Advanced skiers can enjoy the slope of the medium complexity level (also located at the territory of Voevodyno; slope length – 900m, elevation – 100m, T-bar lift). There is also a skiing school. *The slope is equipped with snow canons, but their work is guaranteed in regular frosty weather. Come to our skiing school to learn how to ski correctly and safely! You will be confident of your skills with the help of professional trainers. In the rent centre you can hire any skiing gear. Dear guests! 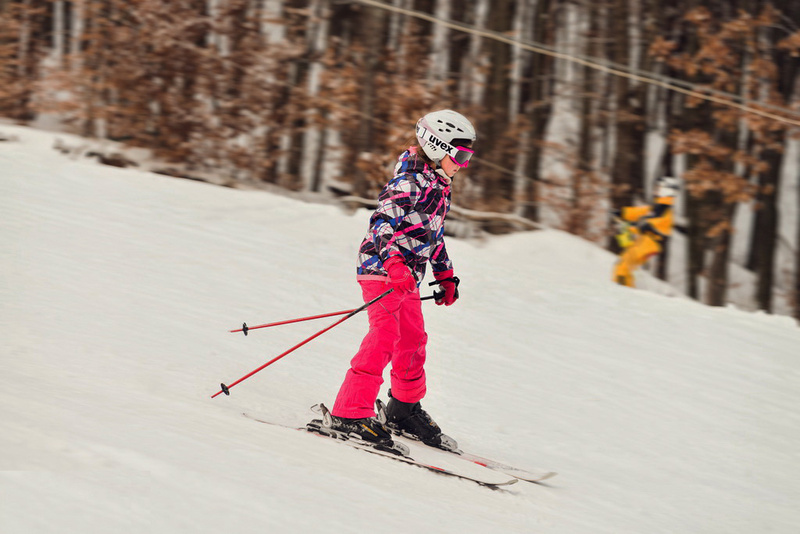 Please note that in order to obtain the ski rental you must leave one of the following as a deposit: Ukrainian passport, passport, driver’s license. Ski lift operating hours: from 10:00 to 16:30 on week days, from 9:00 to 16:30 during the weekends and holidays. Children under the age of five years old are free of charge. Child Rate- ages five to twelve.